It is true. Editors give the assignment to the junior team member, have her round up and parse all of the samples that have accumulated around the office like the Great Pacific Garbage Patch, gather up corresponding high resolution photos and write it up—and that becomes YOUR consumer recommendation for the holidays, an outcome more akin to busy work than careful thought. Or, even worse, if you are a leading glossy wine magazine in a down economy, you forsake the slapdash cub writer assignment and turn your magazines holiday gift guide into a paid advertising promotional vehicle as one leading American wine magazine did in their December 15, 2011 issue. Because of both scenarios, wine enthusiasts the world over will politely grimace during the holiday season as well-meaning gifters give items like the Corkcicle or the Rabbit corkscrew, contraptions so inexplicably confangled that they actually start accumulating dust BEFORE being thrown in the back of the junk drawer. Notwithstanding the editorial status quo, lazy “punch the clock” editorial is not how we roll at Palate Press. Therefore, we are offering up 10 wine gifts that are sure to please their recipients—the educated, but not pretentious wine enthusiast. I stopped in my tracks when I saw these beauties in a tasting room earlier this year. 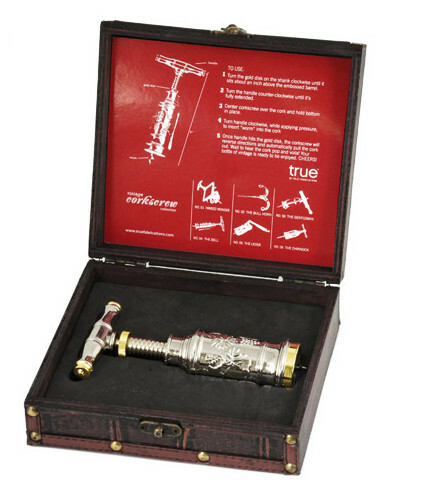 Manufactured by True Fabrications, four different reproduction corkscrews harken back to days gone by and come handsomely packaged in their own vintage-looking gift box. The corkscrews look like an objet d’art, but they work perfectly well for everyday use if you are so inclined to put their beauty to task. Dessert wines are making a comeback and are no longer considered the musty legacy of Aunt Gertie. Chances are good that your favorite wine lover has enough wine glasses to last a month of Sunday’s, but she has absolutely no cordial/Port/Sherry glasses. You can solve that problem. Go vintage/antique, as I have done. 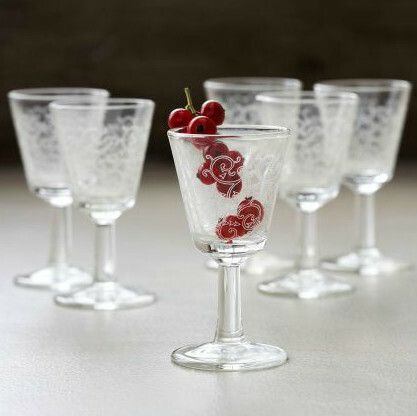 There are plenty of options online when searching for, vintage cordial glasses. 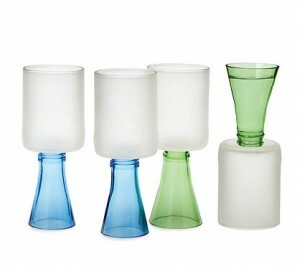 If McCarthy-era glassware is not the gift recipients’ thing then the online curio store Uncommon Goods has a particularly fun set of cordial glasses that might fit a more modern aesthetic. Chocolate and Port wine is like peanut butter and jelly. You will find naysayers that dismiss this classic combination, but for my money it is a sublime way to end a meal. If I am doing it on the cheap, I take some dark chocolate chips from the baking section of the grocery store, mix in some dried cherries and blueberries, throw in some cashews and sip and nosh the night away. 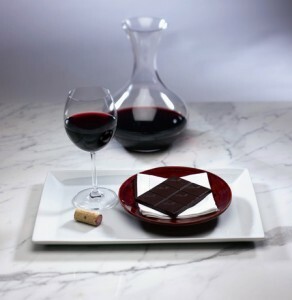 Yet, I do not always want to do it on the cheap and in the burgeoning world of high-end chocolate, there is a movement for more officious chocolate and wine pairings. I have found these work very successfully and Lindt chocolate bars, widely available, are a dandy choice. There are two immutable truths with the wine lover. Every year they resolve to learn something specifically new about wine and they have at least one (if not several) doorstop quality wine books in the corner of a book shelf going largely unused. 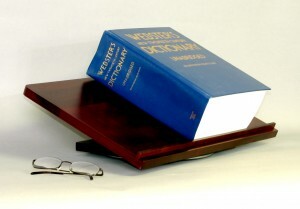 Solve this two-fold dilemma by giving them a dictionary stand. Not only does a dictionary stand turn a favorite wine encyclopedia into an accessible learning vehicle, but it also acts as a handsome décor accompaniment to their wine stash. What’s that you say? You want to give a doorstop book with the dictionary stand? 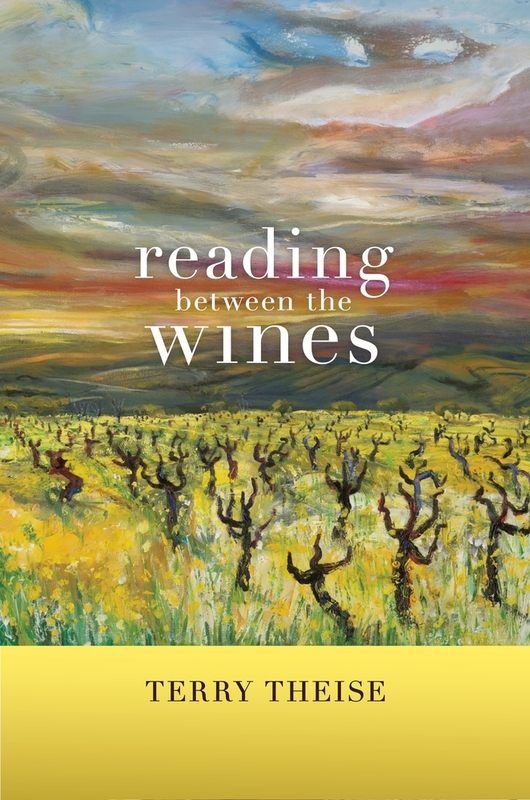 Sure thing, there are abundant options, but my current recommendation is either Opus Vino, a book as beautiful as it is comprehensive, written by a cadre of the brightest voices in wine, or Exploring Wine from the Culinary Institute of America, a venerable book now in its 3rd edition. Through the course of any given year, most wine enthusiasts will go to at least one large wine tasting and want to take tasting notes. The challenge with these tastings is attendees have two hands and usually some combination of a pad of paper and pen, a wine glass, a cheese plate and some winery literature to carry. The result is a haphazard jumble of elbows, bulging pockets and awkwardness. Instead of gifting a trite wine journal for these occasions, let the recipient writer their notes with the GoldFold. 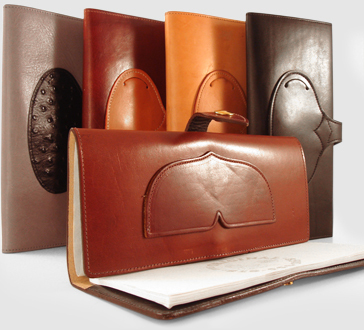 Designed as a call sheet for film directors, the leather trifold holds plenty of paper, a pen and folds up neatly, ready to be stuffed into a back pocket, or, as I do, in the back of my waistband football coach style, offering up some latitude to move around a usually crowded room not encumbered like a Sherpa summiting Everest, but ready to jot a note when need-be. There is not a wine lover in the U.S. who does not have an opinion on how to best preserve an opened bottle of wine. The best that I have found is the Wine Shield. Individually wrapped and inexpensive at $19 for 50 of them, the plastic disc acts like a floating lid that preserves the wine inside the bottle, keeping oxygen out. 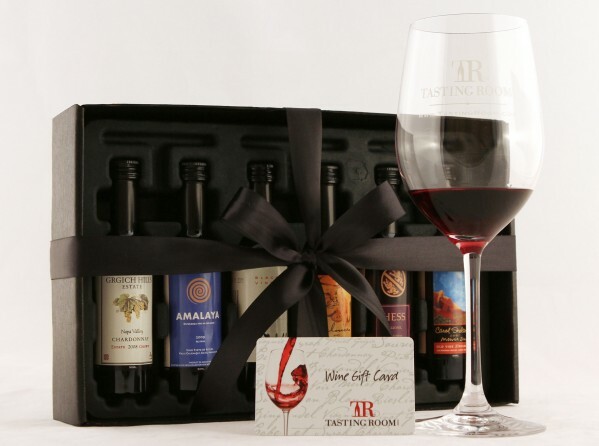 A gift that keeps on giving, your favorite wine enthusiast can safely keep a special bottle of wine around the house for up to five days, according to Wine Shield clinical trials—a great incentive to make a random Tuesday night special with something nice from the cellar. Do not do either. Go to Tastingroom.com and buy a mixed sampler pack. Using a proprietary process that packages wine in 50ml bottles (the size of an airplane liquor bottle, about 1.7 oz. ), TastingRoom offers sampler packs that gives wine lovers a variety of tasting experiences, from a variety of wineries. Diversity is the best possible solution in gifting wine to the wine enthusiast. On more than one occasion I have heard the bridegroom exclaim, “Cash always makes a nice gift.” Yet, money for the holidays seems a tad impersonal unless you are gifting a fickle, sullen teenager. 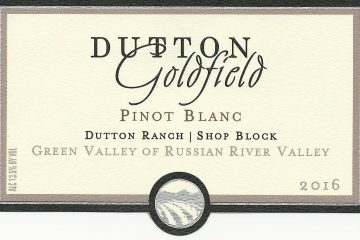 For the hard-to-buy for wine enthusiast go for an iTunes Gift Card. There are a preponderance of wine-related apps. available and chances are your wine-loving friend will immediately bury himself in the iTunes app. store sleuthing out an app. that will aid and abet his wine-related New Year’s resolution. In my opinion, the greatest gift you can give somebody is the gift of knowledge or wisdom. Even better if you can give knowledge AND wisdom at the same time. 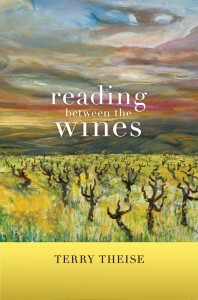 The three go-to books that I recommend over and over for the thoughtful wine lover’s bookshelf should be given as a trifecta. In sum, gifting the wine enthusiast at the holidays need not be difficult; all the gift-giver has to do is go one extra step beyond sleepy editorial recommendations and wine accessories with a half-life shorter than the time it takes for the menorah candle to burn out or the tree to be taken down. These 10 recommendations from Palate Press will ensure a happy holiday season and a gift that keeps giving. A journalist by education and a technology sales and marketing professional by career, Jeff marries both as the author of the popular national wine blog Good Grape: A Wine Manifesto. 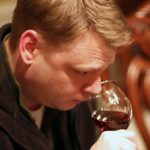 Writing daily since 2006, Jeff’s contemporary and pragmatic take on the culture of wine has led to three nominations and two wins in the American Wine Blog Awards, numerous accolades, trade and consumer magazine writing credits and enough fans to consistently rank within the top tier of wine bloggers internationally. Jeff is a Palate Press Contributing Editor and columnist. Wonderful list, Jeff. Over at NYCR we are preparing our own themed-gift ideas – and at the very top is a DeLong map. Very cool, informative stuff, and framable! ‘Nearly all of the holiday gift guides in magazines and online’ ….NEARLY sweeping statement…perhaps you mean paid commercial sites. Last year I ran the “12 days of wine christmas: was a bit adhoc and very well received. Some suggestions from samples, some just my picks.